Found so many wonderful and underappreciated stocks again! I think in the future I will need to makee two features every month. Enjoy and suppor these great stock artists! And if you like the feature please add it to your faves. Welcome to Demonika Stock, I decided to start this account because I wanted to separate my stock from my art. I only have a few rules so its not difficult to follow them. I PREFER no hate art or malicious intent towards children or animals. do not redistribute, even in another colour or hue/saturation that is not art, that is still stealing. Notify me, I don't care if you use these photos off of DA, in prints or on sites, blogs avatars signatures etc, but PLEASE NOTIFY ME! this means in either a note, comment or message. If you want to use these for anything commercial, that is just fine with me so long as it is nothing as listed above. This is a secondary account, my art account comes first, If I do not get back to you immediately I apologize. Most of all have fun with them. Be artistic. I am a photo manipulator who also does stock. Favourite genre of music: Goth, metal, opera, classical. 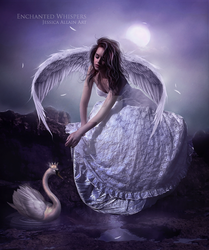 Favourite style of art: Photo manipulations, photography, traditional and more. Favorite visual artist hmm now THAT is a hard one, too many to list! Favorite movies Donnie Darkko Favorite TV shows True Blood Favorite bands / musical artists Tarja, Nightwish (before anette), Behemoth, dimmu, COB, COF, Deathstars, Gothminister, Manson Other Interests Music, Movies, Art, Animals, Singing. thank you so much, and I apologize for the very late response! You are most welcome. Keep up the fine work. Great stock, fellow-Ontarion! Nice to "meet" you! Wanna go see your photo-manipulations now in your other account! lol, I commented in your profile from my other account, I am actually just outside of Chatham Ontario. I will be doing some new stock in the next few days! So cool! Great to "meet" you! Look forward to your new stock! Took a peek at your work in your gallery and I have to say that I was extremely impressed at your photography. I loved your nature pics . They looked so peaceful and I couldn't help but ask you what gerneral place is the focus for your nature pics.? ?Is it somewhere you get to visit or is it someplace you are fortunate to be close in the area to.? I also really enjoyed your model gallery. Very pretty barefoot model. Keep up the great work! !